Everybody feels passionate about something. Sometimes it takes a while to figure out exactly what that is, but you have big dreams inside of you that are driven by your deepest values and convictions. Your dreams are your True ME (Magical Essence) expressing itself. Discovering your deepest passions will dramatically increase your sense of joy, happiness, and confidence in every area of your life. Where Do You Find Your Passion? The most popular advice for career success is to find something you love, and then find a way to make money doing it. If you can find a way to support yourself working in a field you enjoy, you’ll get up every morning looking forward to doing something that hardly feels like work. Sometimes, however, you’re stuck in a position that’s less than ideal. If you explore the values and dreams within yourself and match them to particular aspects of your job, your daily grind can quickly turn into a daily pleasure. By finding deep meaning in what you do, your enthusiasm for work will naturally increase. When you find your passion, you can seek out others who share that passion and revel in it. You can open yourself up to a whole new circle of people and experiences. When a group of people who share the same passion get together and talk about it, entertaining dialogue always ensues. Whether it’s a vigorous debate or a lengthy rant, it’s always good fuel for your soul. Discovering the passion inside of you makes you a more interesting person. Even when you’re spending time with people who have totally different interests, you can exchange ideas on a whole new level and enjoy each other’s company more when you have more to share. Your friends, family, and colleagues may feed off your interest and enthusiasm. Your passion may become contagious, and you may win them over to your cause. With more in common, you’ll experience a deeper relationship and more meaningful fellowship when you share your passion with others. Are you easily bored or anxious? The quickest antidote is to discover what makes you tick. Your passion is the fuel that ignites the joy you were created to experience. Infusing your passion into your weekly schedule, even in small amounts, can have a dramatic effect on the happiness you feel throughout the rest of the week. Knowing what your passion is can give you a barometer for potential romantic partners. If you find someone who shares your passion or is at least supportive of it, you can develop a relationship where you can share your passion with someone who feels passionate about you. Experience the power of finding your passion today. All it takes is a few minutes of quiet time alone, an open mind, and a determination to live the life of joy that you were born to live. What causes stir your emotions? What do you enjoy spending time doing? What bothers you about the world around you? What things make you smile? As you explore, you’ll discover the passion that burns deep within your heart. Ask yourself how you can pursue that passion, starting today, even if it’s only on a small scale. Your life will never be the same. What small thing will you today to ignite your inner passion? I’d love to hear how you will pursue your passion, so leave a comment and let us know! If you’re like most people, figuring out what you’re supposed to do with your life can be a challenge. What is a life purpose anyway? For this article I’m going to define it as something that you love to do that also has a great impact on the world. And if you generate an income for doing something you love, even better. It’s that sweet spot where you’re having a great time and doing something wonderful or as many people as possible. Most of us leave our lives up to chance. We slide into mediocrity with a profession that we can tolerate because it pays the bills and stay there or in a similar situation until we’re ready to retire. Living your purpose usually requires taking action with the intention of finding it. Describe your ideal day. Project yourself several years into the future and imagine that your life is essentially perfect. Take a piece of paper and answer these questions… What would your life look like? Are you working? What type of work are you doing? What do you do all day? Who is in your life? Now that you know what the end looks like, what can you do today to take the first step in that direction? Try a Day of Solitude. Go to a remote place that inspires you. Bring plenty of water, even some snacks, a journal and pens and/or pencils. Just sit with yourself. Let your mind go. Write down the thoughts that appear. Write. Similar to solitude but not as long. Perhaps the most effective way to discover your life’s purpose is to spend an hour writing. At the top of your paper write, "My life’s purpose." Now spend the next 60 minutes writing whatever pops into your mind. When you find something that stirs strong positive feelings within you, you’re probably on the right track. Do something that terrifies you. Skydiving? Public speaking? You might find your life’s purpose during the process of conquering this fear. This can be challenging and it might take some time, but get started today. Spend a day being totally inspired. From the time you wake up until the time you go to bed, attempt to spend every moment inspired. The right books, music, and movies can help you maintain an inspired mental state. You’ll believe you can do anything. What would you do? Keep trying the above tips until you’ve found something that really excites you. When you find your purpose, there will be no doubt. Also keep in mind that your purpose, may not be one big encompassing thing. You will need to devote some time to thinking and planning but not so much you forget to enjoy your life. It’s having passions, and the perseverance to pursue them, that makes you a star. Finding your life’s purpose will make life exciting and meaningful! 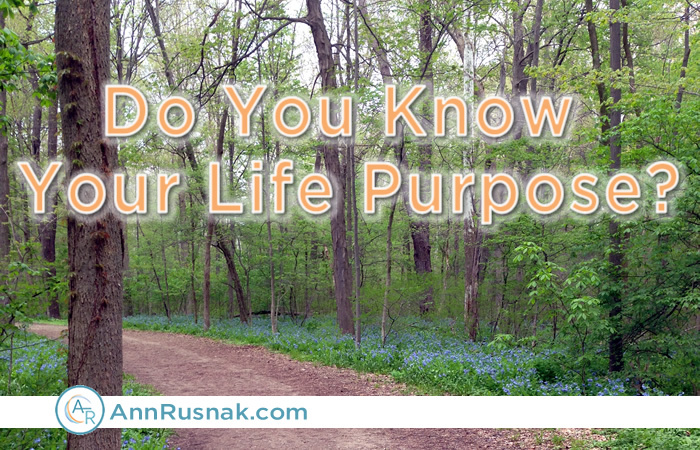 Ready to find your life purpose? 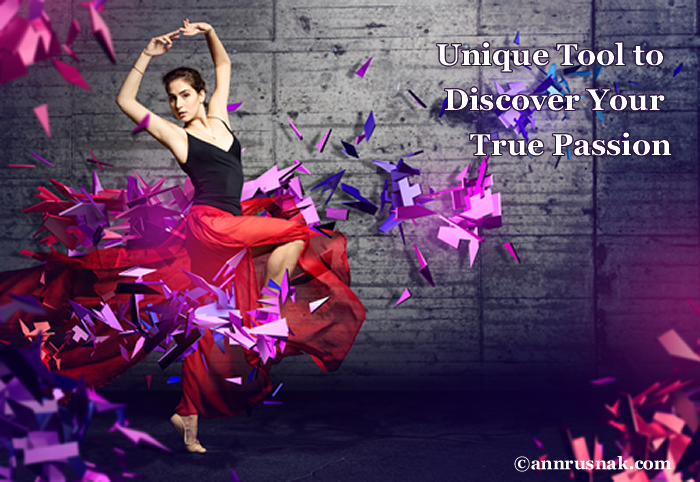 All you need to do is discover your true inner ME… Your Magical Essence that makes you unique. Your innerME is meant to shine, meant to sparkle and achieve great things. Begin your journey of discovering how to unlock your dreams with the book The Journey to ME: Empowering You to Live a Life of Unstoppable Success. I Want to Buy the Book Now! It seems that we are all in search of our life’s passion, but what is a passion anyway? In short, it’s the perfect fulfilling combination of career, love, family, dreams and reality. You may feel that spending a few moments thinking about your passions and dreams is a waste of precious time – what with all the other obligations tugging at your sleeve: career, kids, bills, errands, etc. However, these few moments might just be the defining moments of your life! You could discover the one thing that enables you to find true happiness! In fact, most of us could benefit by spending more time considering our life’s passion. Evaluate.What do you feel is lacking in your life? What do you have that fulfills you? Make a list, and consider options that bring you what you lack. Feel gratitude and appreciation for the good things you have that fulfill you. Set goals. Write out your most important short and long-term goals and dreams, along with a plan to achieve them. Divide your plan into small steps that you know you can accomplish. For example, if you always wanted to open a clothing store, start taking classes on business or fashion at the local college. Small, achievable steps assure your success! Don’t sweat the small stuff. Decide which of your stressors are small issues and which ones are large. Is that loud neighbor a real concern or can you let that one go? By letting the small stressors go, you can free up your mind to strategize ways to reduce, eliminate, or cope with what stresses you the most. Analyze your time. Which activities take up most of your time? Do you desire more time for other, more enjoyable activities? If so, then develop a plan to restructure the time allotted for each activity. Make a schedule with your priorities and stick to it. Consider your fears. What is stopping you now from taking steps towards what you want in life? Is it a fear that you won’t succeed or that others will think less of you? Do you fear how things might change if you are successful? Endeavor to fulfill your life despite fear. Facing your fears will make you feel empowered and more capable. Make a daily success plan. Think of small changes you can implement each day to improve your life. Each day’s accomplishments will show you that you are, indeed, moving toward fulfilling your life’s passion! Leave regret behind.Once you start feeling success in pursuing your life’s passion, you may wish you had started earlier in your life. Push these thoughts of regret out of your mind. To eliminate regret, remind yourself of this wonderful opportunity you’ve discovered that is changing your present and future! Seek positive advice. 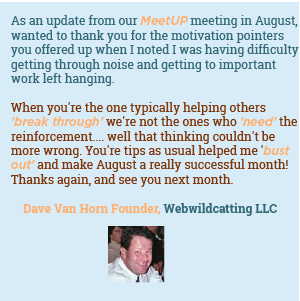 Talk to anyone and everyone you can think of to glean positive tips, advice, and experiences. Seek out those people that you feel have it all – everything you may be looking for in life. Find out their secrets, their perspectives, and the thoughts that motivate them. Pursuing your life’s passion can start you on a journey that brings you more joy than you have ever imagined. 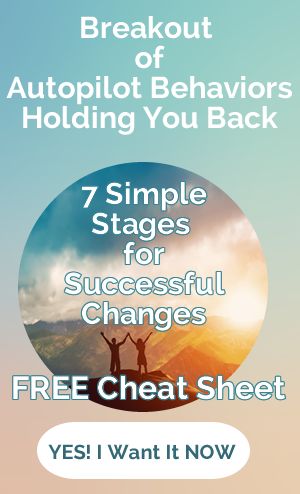 Following these tips and techniques will help you to develop a successful strategy for turning your hopes, dreams and desires into your reality. Enjoy! A story about a small pup with big dreams. Chester the pup goes after his dreams… and fulfills his destiny despite doubters. Let this video story inspire you to go after your dreams. You can download the pdf transcripts which includes a self reflection section on getting unstuck from the self doubt and fear that hold back your dreams. 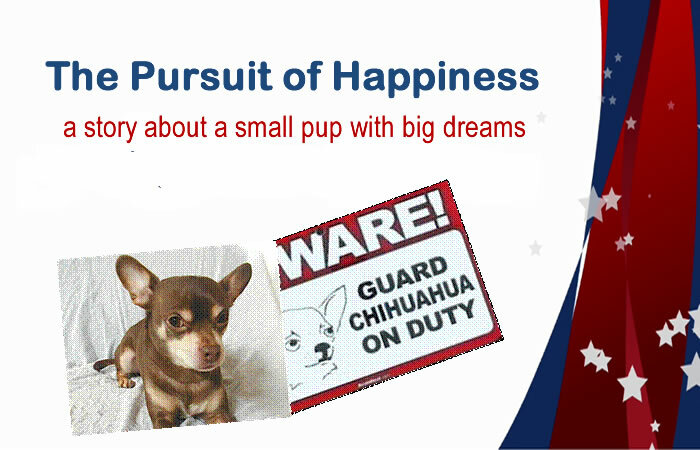 This wraps up the series of celebrating the pursuit of happiness. While enjoying fireworks and thinking about our country’s fight for independence, you too can begin the inner fight against limiting beliefs and the tyranny of fear. 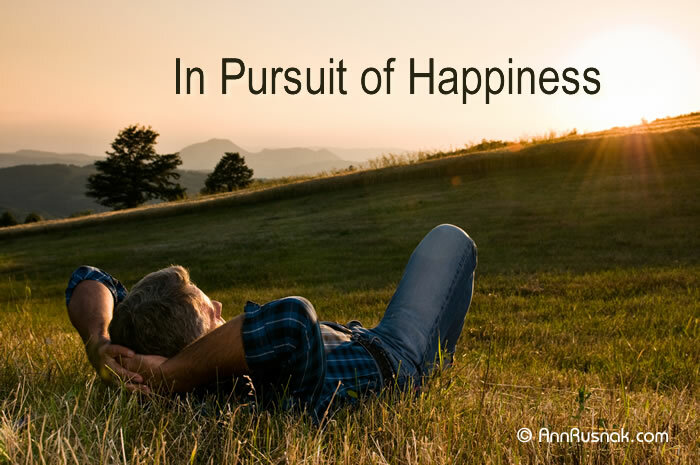 FREE Right Click to download your "The Pursuit of Happiness" transcript with BONUS Self Reflection section..
Do you seek happiness? Are you looking around you for someone or something to come along that makes you happy? Answering yes to either or both those question is the reason happiness eludes you. You doesn’t need create or look for happiness. It already exists within you. Happiness is a choice and it’s up to you to choose happiness. If you don’t want to be happy you won’t be. A great way to experience happiness every day starts with giving yourself permission to be happy. Focus on the positives of your life instead of the negative. Using affirmation can help you flip your thoughts. Once you become skilled at it, the rewards are pure joy! Happiness affirmations can help you attain happiness mindset. A positive statement that can change your life. Affirmations work a lot like mental imagery techniques where you visualize yourself doing something great. Instead of being visual, though, affirmations are spoken. The words you speak have the power to evoke your emotions and activate your mind to accomplish great things. You program your mind with repetitive positive thoughts that enable you to achieve your goals and live the life you dream! For instance, when you doubt your right to be happy, you can say to yourself, "I find reasons to laugh every day," or something as simple as, "I give myself permission to be happy." Giving yourself permission is powerful. It breaks down your mind’s resistance. When you’re always in pursuit of happiness, you may find that it’s elusive. That’s because your mind believes you need to look for sources outside yourself or for people to "make" you happy. Every time you use happiness statements, you reaffirm the thought and program your brain to be happy. Who Can Use Happiness Affirmations? You can! With the help of affirmations you can change your life, one happy thought at a time. 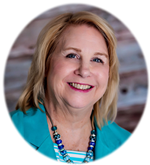 You’ll be amazed at how quickly you can integrate affirmations into your life and how soon they can make a mind shift change. When you use positive statements, you push out the negative thoughts, leaving no room for them in your life. When you remind yourself that you have a right and a reason to be happy, you’ll feel happier, and life will suddenly become so much more enjoyable. It’s certainly worth a try to see if you can change your life one statement at a time and end up full of happiness and joy! If you’re tired of waiting for your turn to experience the life you want, get ready to claim the success you deserve on our terms… your way. Unlock your dreams with the book The Journey to ME: 7 Steps to Empowering You to Live a Life of Unstoppable Success. Many of us go through life with interests that we never truly nurture and enjoy because we are too concerned about what others think. Of course, that’s no way to live! Several years ago, I decided to start following my heart to write a book to inspire woman to embrace their Magical Essence™ to live a life of Unstoppable Success. Finding your passion is an important part of self-discovery. You will be a happier, more balanced individual when you find and develop your passions. Your whole life will change before your eyes! Set your mind to finding your passion. Once you focus on your pursuit of passion, your mind will be attuned to anything that will contribute to the solution. Use an effective mind tool. There is a well-known tool you can use to help you along the way if you are afraid to branch out and follow your dreams. You can also use this tool to keep going down the right path to find what you are interested in. What is this handy tool? It’s embracing your passion through affirmations! Affirmations can help you push through your self-doubts and help lead you to a more passionate life. Many people hear the term "passion affirmations" and wonder what affirmations could possibly be, and why they should use them. Passion affirmations are statements that will activate your brain to focus on and attain the goals you set for yourself. These statements often are descriptive of the feelings or behaviors you would like to possess in any given situation. They may remind you about your self-worth or the importance of your passions. How Can You Use Passion Affirmations? Passion affirmations can be used in moments when you might be having some negative inner dialogue, or when you are second-guessing your desire to pursue your passions. In those moments of doubt, you may want to use a passion affirmation like, "I have no need to do what others think I should. I am strengthened by doing the things I love to do." You’ll want to believe this even if it’s a challenge in the beginning. You are reaffirming the statement and making it your personal truth every time you say your passion affirmation out loud. There are also passion affirmations that can help you overcome guilt that you may feel when you indulge in your passion. We all have a right to pursue our passions, as long as they are in balance with our responsibilities. There is nothing wrong with pursuing a passion. You deserve to spend time on you. When you are having one of those days where you feel guilty for enjoying your favorite hobby or past time you can say, "I am actively involved in my hobbies. It gives me energy and strength after a hard day." You are giving your mind permission to replace negative thoughts with positive ones when you use affirmations. Passion affirmations not only help you discover your passions, but also enable you to live a more passionate life. This positive dialogue will become second nature in time as it pushes out negative feelings and self-doubt. Being passionate is a way of expressing love for yourself. You should indulge in your passions and remember that they are good for you and those around you. I am filled with resolve to achieve my dreams. The more focused I am, the more determined I become. 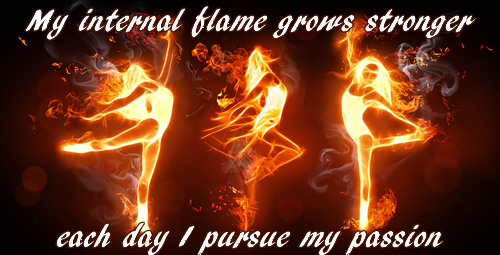 The passion inside of me consumes me like a fiery blaze. The winds of life are but mere fuel for my fire. Difficult situations only help me grow stronger and wiser because my determination is unwavering. My fire is enkindled by my dreams. I revisit my goals constantly in order to keep them in sight. My vision is written down so I can plainly see the direction in which I am headed. I get excited when I think about spending all of my days doing what I love to do. No one else can take my place in this world; therefore I must pursue my passion in order to share my unique abilities with the world. Every day, I seek to improve my talents and gifts in order to become the best at what I do. I brainstorm new and fresh ideas that will bring me closer to achieving my goals. My passion is a part of who I am and I am confident that I am living out the purpose for which I was created. Pursuing my calling is as natural to me as breathing. Knowing my purpose helps me shine brighter each day. The smile I wear on my lips is evidence of the peace and confidence that comes from knowing my purpose. My fire is contagious and I am able to inspire others with my steadfast determination. Today, I choose to give my all to the pursuit of my passion and enjoy the feeling of satisfaction. How do I pursue my passion? How do I feel about my calling? What is my driving force?